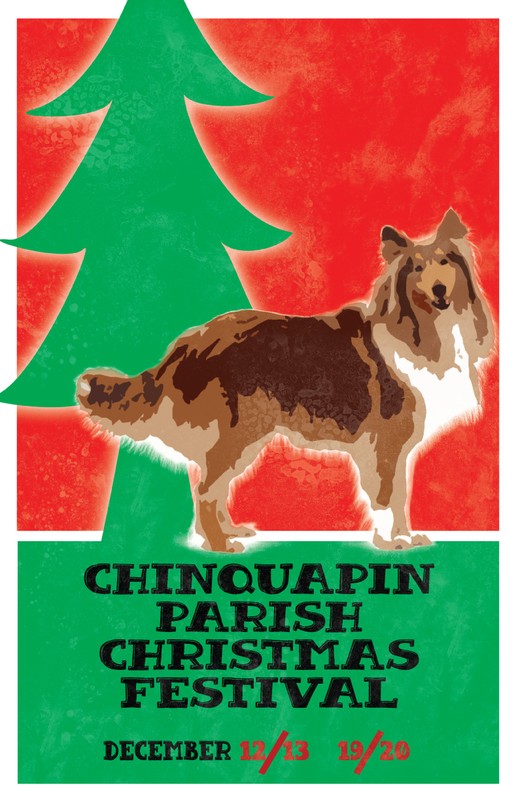 We’re advertising the “Chinquapin Parish Christmas Festival”. It’s a very down home country Christmas festival. I’d say just choose random dates-perhaps the two weekends in December prior to Christmas? 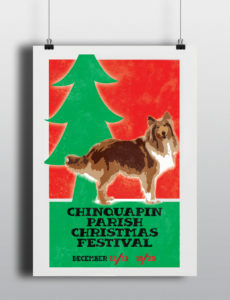 The poster dog is a collie, so he should be somewhat prominently featured (large enough that the audience can see him). I created this fun prop poster design for Spotlight Theatre Company’s production of Steel Magnolias. I did research on poster design from the 80s, which was hard to come by unless you searched specifically for movie posters. Movie poster design was significantly awesome in the 80s! Specifically, I was looking for something simple and chunky, as I knew that it was used as a prop in the show and wanted it to read well to the audience. 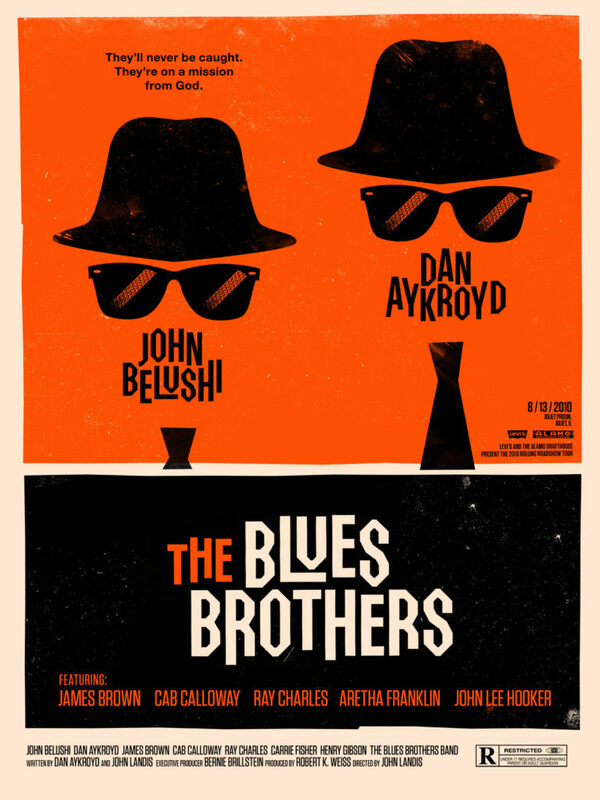 I came across the poster for the Blues Brothers movie and fell in love – it was simple, clever, and the color scheme and grungy texture brought in a bit of a “down home country” feel. The poster was a big hit, not only with the cast and crew but the audience as well. I recently found out that another theater has liked the poster so much that they asked to use it for their own upcoming production of Steel Magnolias! This project was fun and a new type of venture for me. I hope to do more of this type of creative work in the future!